Your ARI HME Dealer Website converts browsers into buyers. LEAD GENERATION Request a Quote, Request Brochure, Contact Us and other calls to action drive more qualified leads. SEARCH ENGINE OPTIMIZATION Responsive design, lightning fast load times, Google XML sitemap verification, optimized meta data and local listings management all send strong SEO signals. 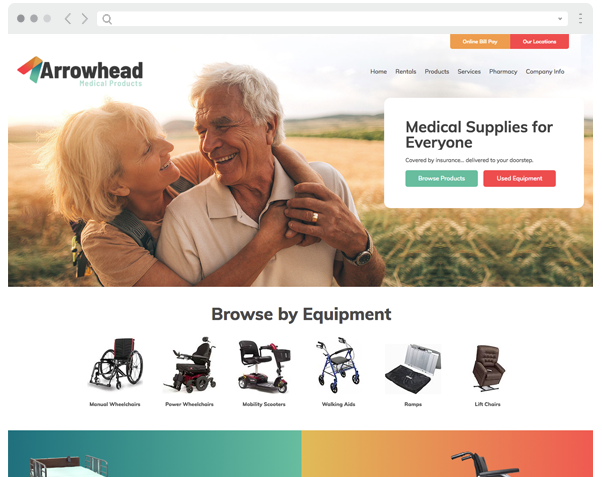 ECOMMERCE Our integrated shopping cart streamlines the online buying process, helping you sell more parts, service and inventory. SERVICE TOOLS Our service tools including rental management makes it easy for visitors to schedule service or book rentals 24/7. Request a Quote, Request Brochure, Contact Us and other calls to action drive more qualified leads. 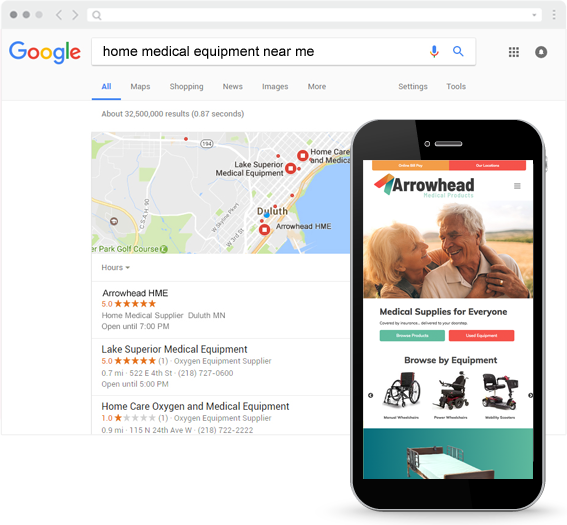 Responsive design, lightning fast load times, Google XML sitemap verification, optimized meta data and local listings management all send strong SEO signals. 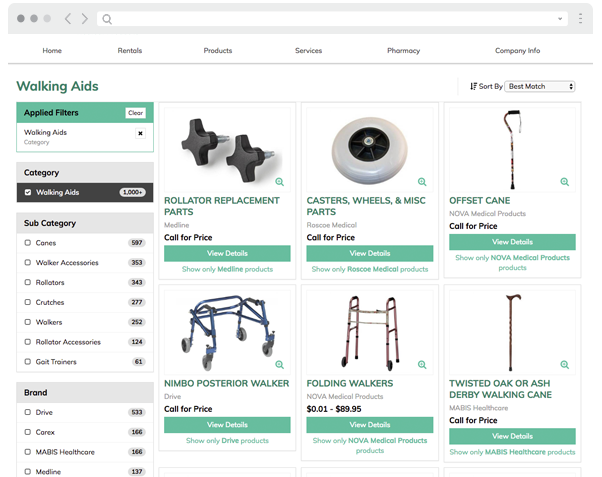 Our integrated shopping cart streamlines the online buying process, helping you sell more parts, service and inventory. 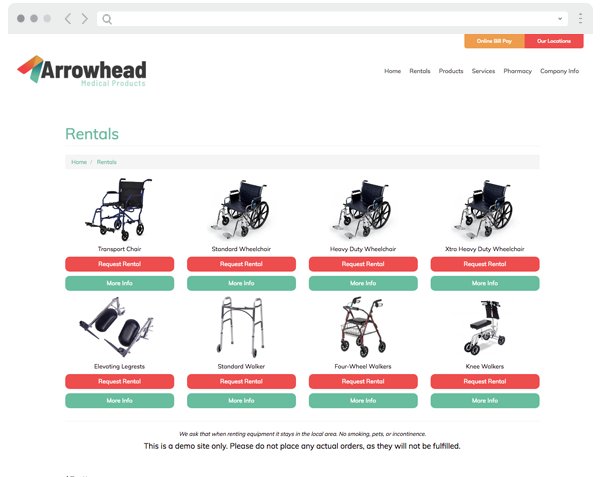 Our service tools including rental management makes it easy for visitors to schedule service or book rentals 24/7. The tools and the support team you need. MANUFACTURER CONTENT Full access to ARI’s industry-leading content library featuring more than 350,000 SKUs from industry leaders like McKesson, Medgroup, Drive, Essential, Nova and First Quality. QUARTERLY CONSULTATIONS Proactive success sessions from your dedicated account manager ensure your site stays up-to-date. TECH SUPPORT AND UPDATES On-demand support to ensure you get the most out of your investment.